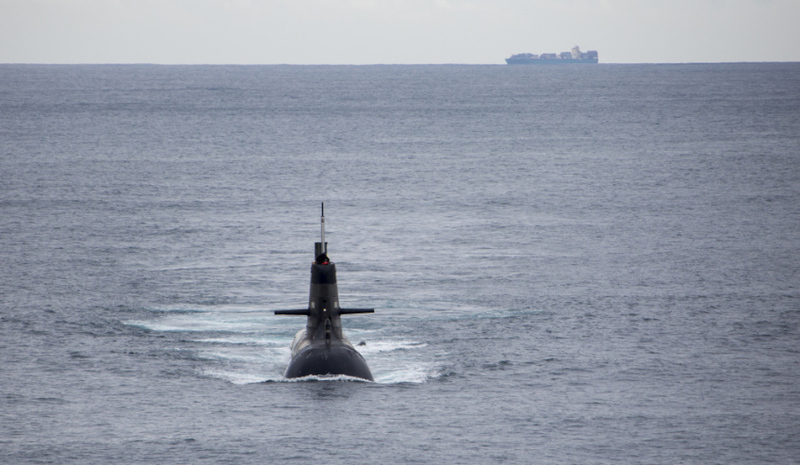 An Australian submarine enters Jervis Bay during a visit to the East Australian Exercise Area. Image via Commonwealth of Australia, Department of Defence. Melbourne firm AMOG Technologies has partnered with Thales on new research into stealth technology for submarine periscopes and optronic masts. Minister for Defence Industry Christopher Pyne congratulated AMOG Technologies, an offshore and maritime engineering company who will be working in collaboration with Thales on the first phase of a technology evaluation study. "This collaborative technology development effort between local suppliers and global prime contractors is a model we encourage," Minister Pyne said. "Research will examine whether patented technology developed by AMOG Technologies, and currently deployed in the offshore oil and gas sector, has applications to reduce the probability of submarine mast detection as they cut through water." The physical testing will be undertaken at the Australian Maritime College in Launceston, Tasmania. Minister Pyne said the collaboration could result in more local jobs and export opportunities. "Depending on the outcomes of the research, this new technology could open up opportunities for local module manufacture for application to submarine periscopes and masts produced at Thales’ facility in the United Kingdom," the minister said. "This is exactly the sort of technology innovation that we are seeking to foster in our defence industry, and it showcases a great Australian capability with applications in many sectors. "The fact that AMOG Technologies are working together with Thales to exploit a technology they have already successfully applied in the civil oil and gas sector, underpins our approach to leveraging and developing advanced capability for Defence."